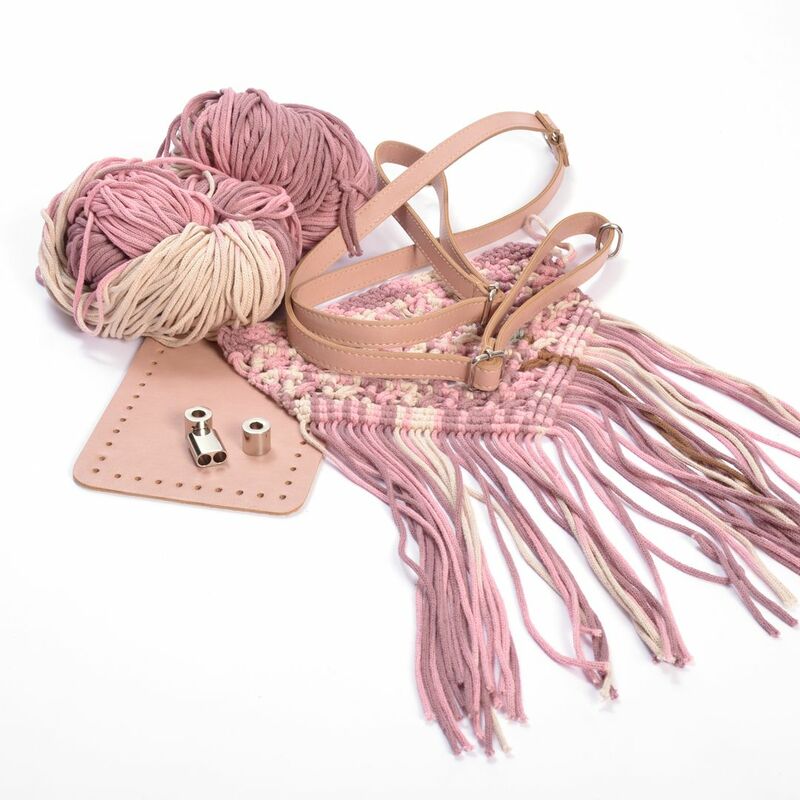 Handibrand Kit Designs :: Kit Macrame Boho Pink Ripe Apple Backpack with 510gr Eco Cord Yarn, Pink. Home/Handibrand Kit Designs/Kit Macrame Boho Pink Ripe Apple Backpack with 510gr Eco Cord Yarn, Pink. Kit Macrame Boho Pink Ripe Apple Backpack with 510gr Eco Cord Yarn, Pink. The Macrame Back Pack is a really cute boho-style backpack. 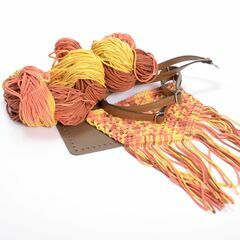 This kit includes 1 ready-made macrame top bag cover with fringe, 1 bag base measuring 20 x 14cm, adjustable backpack straps and 510gr Multicolor Eco cord yarn in the same color as the macrame top cover. You'll need a crochet hook no.5-6. 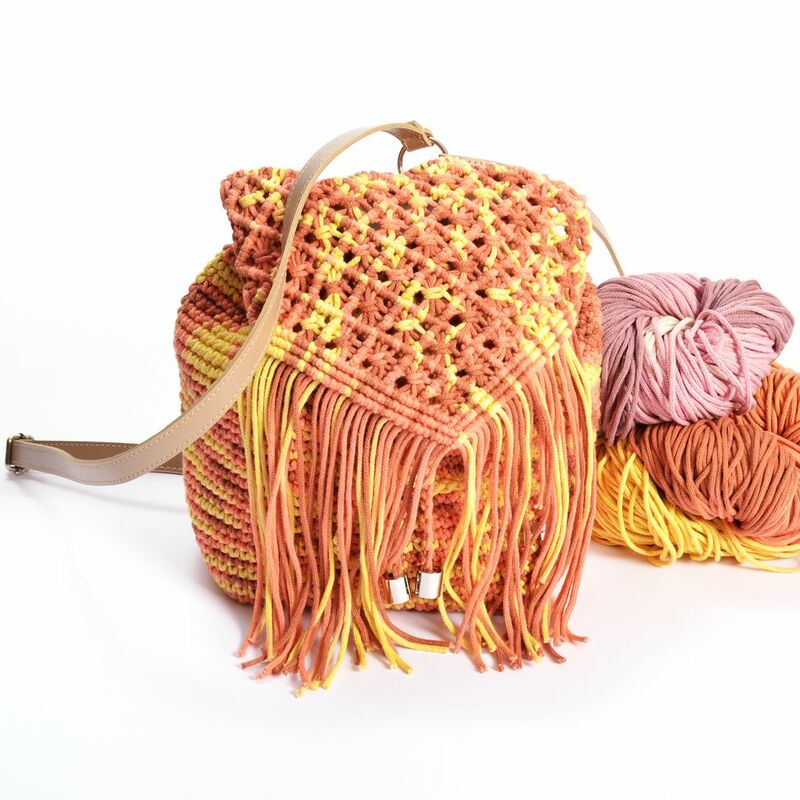 This bag is crocheted in the same way that we would crochet any drawstring or backpack bag attaching the ready-made macrame cover to the body of the bag. And 'voila' your bag is ready! Your very own, everyday boho chic bag! 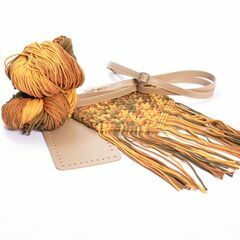 Kit Macrame Boho Backpack with 510gr Eco Cord Yarn, Multicolor Rainbow. Choose Your Eco Leather Accessory Color! 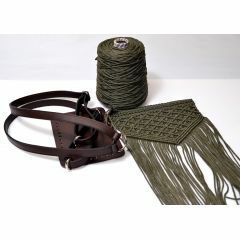 Kit Macrame Boho Backpack, Black-Bordeaux with Black Eco-Leather Accessories. You Choose the Color!